Nvidia has used Computex 2018 to launch its Isaac platform. 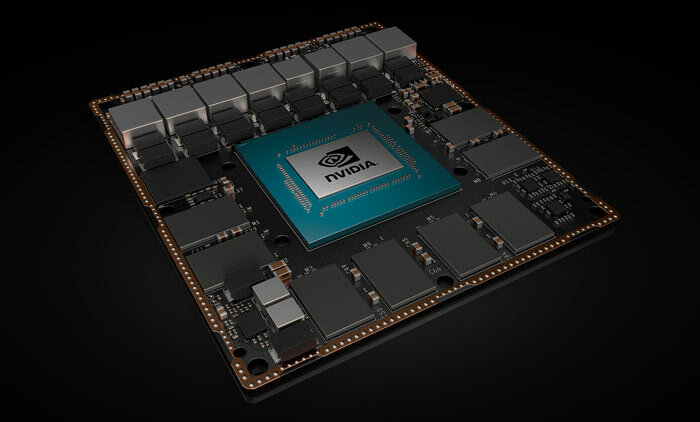 Nvidia Isaac is described as a new platform "to power the next generation of autonomous machines, bringing artificial intelligence capabilities to robots for manufacturing, logistics, agriculture, construction and many other industries". Isaac includes new hardware, software and a virtual-world robot simulator. At its heart is the Jetson Xavier with 9 billion transistors and capable of 30 TOPS (trillion operations per second). 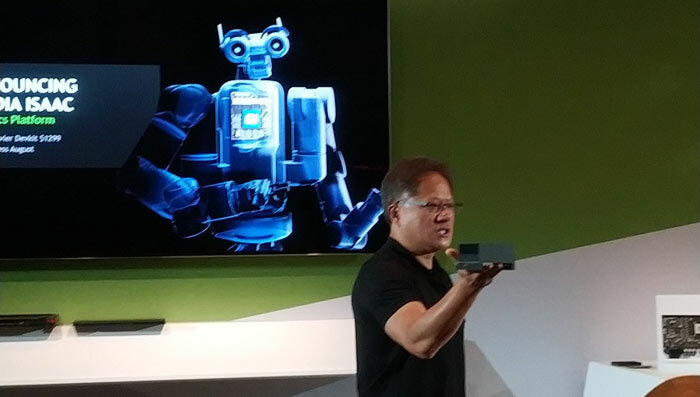 Nvidia founder and CEO Jensen Huang introduced Isaac as "the brain of a new generation of autonomous machines". He went on to predict that Isaac is the first among billions of intelligent machines in manufacturing, home delivery, warehouse logistics and many other fields. If the Jetson Xavier name sounds familiar, it is because it is the same the processor from the Xavier Drive self-driving SoC. This SoC is over twenty times faster than the existing Jetson TX2 platform. 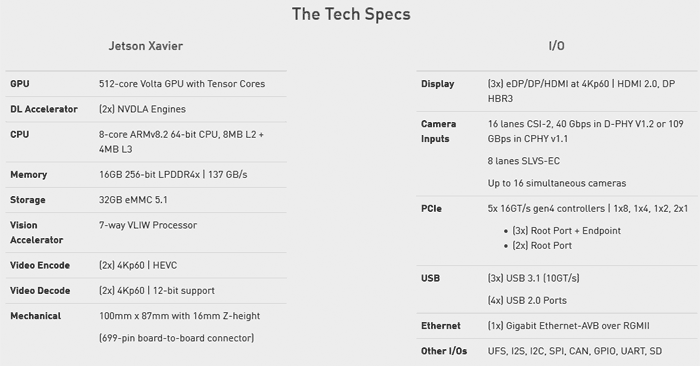 Inside the Jetson Xavier there are six important high-performance sub-components; a Volta Tensor Core GPU, an eight-core ARM64 CPU, dual NVDLA deep learning accelerators, an image processor, a vision processor and a video processor. These are needed to process the wide gamut of real-time information faced by autonomous machines. Dozens of algorithms need to be processed concurrently - factors such as sensor processing, odometry, localization and mapping, vision and perception, and path planning. Impressively, Huang asserted that Jetson Xavier "has roughly the same processing power as a $10,000 workstation equipped with GPUs. Plus, it runs on 30 watts." He said this as he held the Jetson Xavier in the palm of his hand (top photo). The Nvidia Isaac platform developer kit including the hardware, software and a virtual-world robot simulator (Isaac Sim) will be priced at $1,299, with early access starting in August from distributors worldwide. There was not even a teaser concerning the next generation GeForce cards, which many HEXUS readers are solely interested in when they hear of developments from Nvidia. Last week we saw that Nvidia had scheduled a Next Gen Mainstream GPU talk for August. After the press conference at Computex 2018, Nvidia's CEO fielded several questions about upcoming GeForce products and answered, disappointingly, that new GeForce cards will launch "a long time from now". “has roughly the same processing power as a $10,000 workstation equipped with GPUs” how did Jensen arrive to such a conclusion? and what machine specs was he bench-marking with? Must have been a Xeon + Quadro workstation, to arrive at that price! Yet I presume you still need the workstation brimming with GPUs for training the networks you will then run on the Isaac board, as inference isn't the same as learning and you won't fit much training data on the 32GB emmc.